Home > Health > Are You Getting Enough Water? We’ve all heard that drinking water keeps us healthy. But how much is really enough? The Daily Nutritional Guide Pyramid for Filipino Adults developed by the Food and Nutrition Research Institute of the Department of Science and Technology (FNRI-DOST) recommends that drinking eight glasses of water a day will suffice. However, that might not be enough. While eight is great, amounts need to be tailored to meet the needs of the every individual. 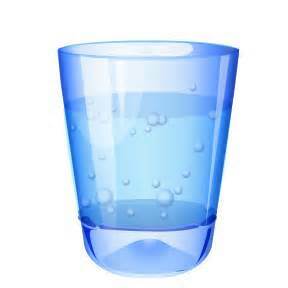 Most adults will lose between 8-12 cups (2-3 quarts) of water per day by way of normal body functions. However, but athletes and those who live and work in warmer environments tend to lose more. Drinking more water will make up for the bigger loss of it through perspiration as well as in the regulation of body temperature. Our body is made up of 55-75 percent water but it does not replenish itself so drinking water helps maintain that healthy balance. But even still, many will walk around dehydrated, most of the time unknowingly. That is because thirst may not always as a good indicator of dehydration. By the time someone gets thirsty, it is too late! Or, if one is thirsty, that person may go for a beverage that does not actually replenish the body. Water is one of the remedies for dehydration. If mild dehydration sets in, it can decrease one’s energy level and mental functioning and increase stress on the body. Severe dehydration can have far more damaging effects. 1. Drink twice as much as it takes to quench your thirst. 2. Drink frequently throughout the day to prevent dehydration. 3. Drink at least eight glasses of water daily, or one cup for every 20 pounds of body weight. For example, a 150-pound (63 kilogram) person who does not exercise or work in hot climates needs 7.5 cups. While some fruit juices and green tea may account for some fluid intake, you can count out beverages such as coffee or alcohol. They have a mild diuretic effect, which promotes urination and therefore water loss. This ultimately defeats the purpose. Finally, those frequent bathroom trips are not so bad. The best indicator that one is drinking enough water is when urine comes out pale yellow to clear. A dark yellow color urine is a sign that the body is dehydrated and the body is conserving water. A trick to ensure people are drinking their daily allowance of water is to fill a pitcher or jug of water and place it on your desk at work, or handy at home. The goal is to consume this within the day. As you drink down the water, you know that you are on the right path to drinking enough water. So go get yourself a tall glass of water and start hydrating your body. You will find yourself more energized and feel less tired. Stay healthy and drink that water.